The Club was started in 1963 as an evening class held in one of the rooms at the old ‘Cedars' house on Shilton Road in Barwell. After several moves due to the club out growing it’s venues it eventually ended up in the main sports hall at the Heath Lane Academy in Earl Shilton. It’s now one of the largest clubs in the area with 200 square metres of mat area. We have no Club memberships fees or charges – You just pay for the sessions you attend. A 2 hour session is £2.00. 3 or more from the same family is £5.00 for all. We train on Friday evenings - 6.30pm until 8.30pm. Juniors 4 years to 15 years and Seniors 16 years to 65 years. We will lend you a judo suit (Gi) for your first few weeks. Please don’t rush out to buy one until you are sure Judo is the sport for you. We believe that most sports are great for kids and adults. However judo has got to be among the best of them all. Maybe we are biased but we think judo, is rather special and it's unlike many sports, as it really is a sport that everyone can do, no matter what size, shape or age you are. Because of the large range of techniques and ways of doing each technique, everyone can find something to suit them. How good at Judo could I be? You don't have to be exceptionally talented, or have amazing physical potential ... any dedicated person can become a really good Judoka ... and if they want it badly enough, even a champion. Judo helps your fitness levels and is an all-over work-out. Any typical judo session includes exercises that improve your cardio vascular system, endurance, stamina, strength, flexibility, core stability and co-ordination. Many people find that lessons learnt on the mat help you in every aspect of life - increased confidence, self-respect, discipline and respect for other people. 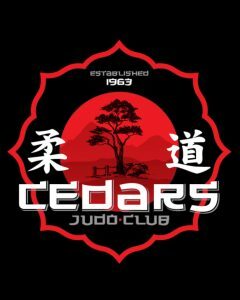 Copyright © 2019 Cedars Judo Club. All Rights Reserved.